Earn $17.82 in Rewards credit (1782 points) What's This? 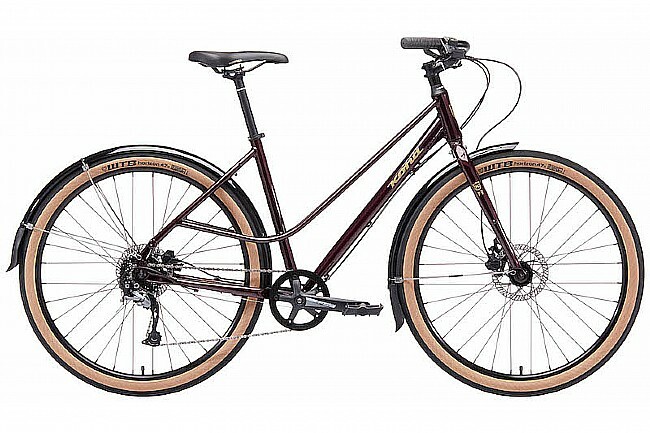 The 2019 COCO Urban Bike is Kona's answer to the European cycling craze. It's gorgeous step-through design allows for riding ease in any attire. Fenders keep the rider dry on the rainiest of days, and hydraulic disc brakes ensure stopping without hesitation. Crankset: FSA Tempo City, 39t/Guard. Bottom Bracket: TH 7420ST 68mm. Cassette: Shimano HG200 11-32t 9spd. Brakeset: Tektro HDM275, Tektro TR160 160mm. Hubs: Formula 100x9mm; Formula 135x10mm. Manufacturer Warranty: Lifetime for frame; 1-year limited on complete bike.